3. when the image is uploaded you’ll see automatically appear below a thumbnail of it a list of different links for different purposes. Choose the one ‘Hotlink for Forums’ as shown in the screenshots below. When you click on it once it will all highlight. Just <left click> the link, select it in it’s entirety & then ‘copy n paste’ link into your post. 4. When the post is made it will appear as if by magic in the actual post ! - Note – just a few short months ago postimage had a glitch when their website renewal got messed up so they re-organised and changed to a different one. 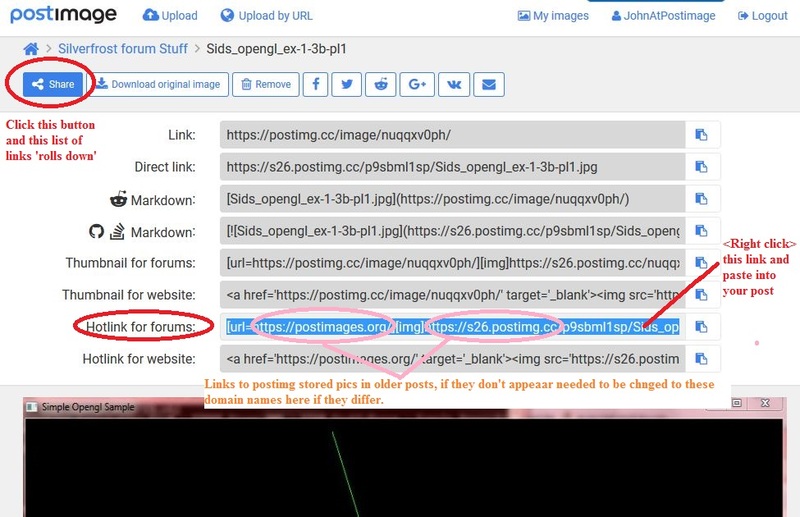 This is why on some of the older forum posts the image doesn’t appear anymore (because the link is the old one). a)	use the lazy way and PM the original poster and ask him/her to re-upload again. b)	If the original poster no longer has a copy of the image or whatever … The original link can be simply modified (by the original poster obviously !) so you’ll have to PM them to ask nicely if they’ll do it for you and give them the information to do it ! See also the 2nd figure below where is marked the (current still as of today) website links to which picture links on older posts might have to be changed. Just navigate to the image where you have stored it in your postimages storage space and <double click> it. It will open. Then click the ‘Share’ button top left) and a list of the various links will drop down ready for selection … like this …. 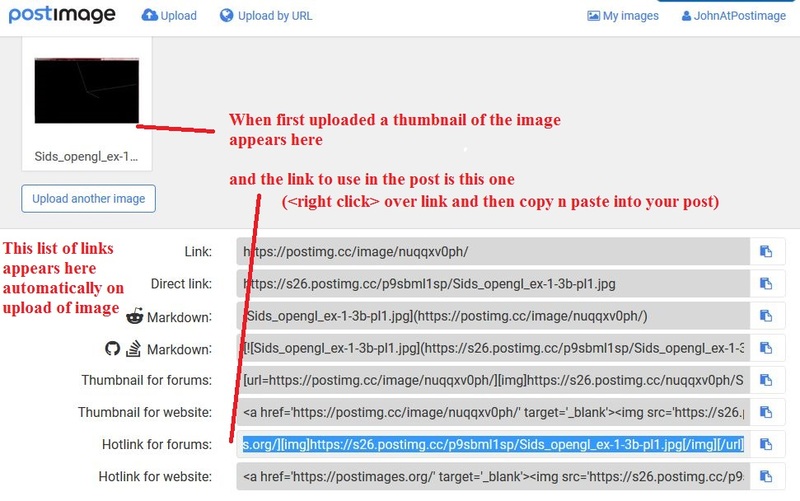 I just use "Direct Link" address from Postimage.org (see above) between two HTML tags [img][/img] which I add manually.
' at the beginning and the at the end from the 'Hotlink for forums link and as you say it works fine. Maybe that extra 'url' wrapping is there for other forums. I knoe not. Whatever, it's always good to have options !